I learned to play guitar sometime in the spring of 1994. I did it in a single day. Sort of. I was so excited by this revelation — this power, if you will — that I called in sick the next day (i.e. I faked a cough and my mom let me stay home from school). Armed with this new “life hack,” I learned to play Green Day’s entire breakthrough album by ear that day. I was so elated, I didn’t even break for lunch, let alone breakfast. I just played, played, and played, stopping the CD only to find the right chord. I even learned a few of the album’s basic “fills,” or poor man’s solos, as I call them. Upon returning from school, my brother and friend were impressed with my progress. It’s not every day a rhythm guitarist is born. From that day forward, I wanted to “play rhythm” forever. That all changed on a Wednesday night 13 years later. I was waiting to see Muse — one of five favorite bands of the century — perform at the McKay Events Center. It was a little after 8:00 pm. I had seen many live concerts by then — more than 50 by my estimation. 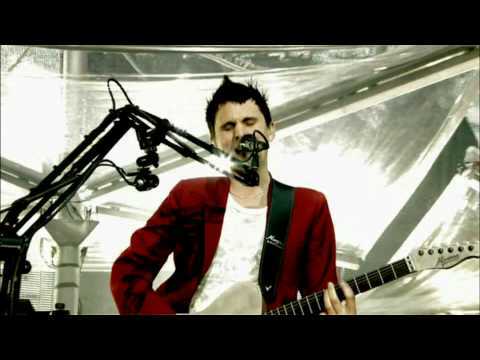 But nothing would have prepared me for what I was about to witness: Matthew Bellamy absolutely ripping through “Knights of Cydonia” on guitar. Wailing. Literally rocking back and forth while playing it. Fingers on fire, violating six strings, and melting the faces of 8,500 spectators (video evidence here). It wasn’t on as grande of a scale as a similar performance of the song three months earlier at Wembley Stadium in London (embedded above). But it was enough to cement my dream of becoming a lead guitarist someday, a dream I’ve sat on ever since (See also: career, wife, kids, nesting, more important things). Eight years later, “Knights of Cydonia” still gets me going. It reminds me of my wide-eyed twenty something youth, my teenage wasteland, and roots as a guitarist. It reminds me of my desire to improve, of doing more tomorrow than I’ve done today, and compels me to brandish a good ole fashioned air guitar from time to time. More than anything, the song inspires me to dream… and maybe, if I’m ever in need, revolt or overthrow a government or something. The only thing I’ve seen come close to Bellamy’s showmanship and mastery was watching Pete Townshend and The Who perform the following year at the iconic Orpheum Theatre. That guy can play, too. But he didn’t impress me to become a lead guitarist. That honor goes to Sir Matthew Bellamy. 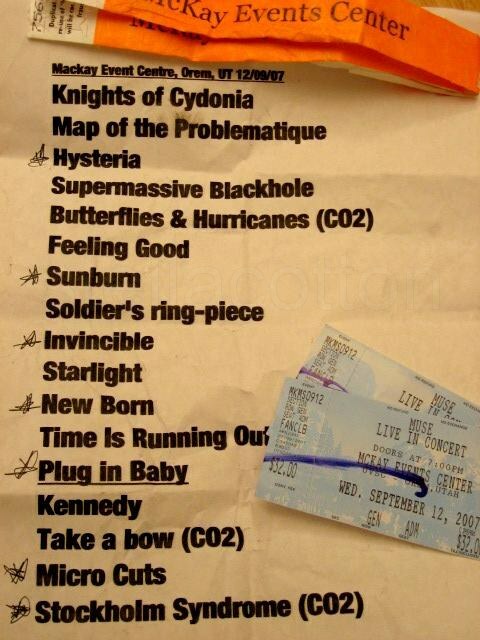 This setlist, specifically the first song, inspired my dream of becoming a lead guitarist. PS—Anyone have a theory on why the British are over-represented (or punch above their weight) in American rock ‘n roll? They represent just a fifth of this nation’s population but regularly infiltrate our airwaves, the above two musician’s very much included. Why are they so good at rocking? If anyone knows, I’m all ears. Regarding your P.S. question, my theory has always been that we only get their cream of the crop, whereas in America we get our greats but also have to deal with crummy artists. If you ever want to get a taste of the chaff that is separated from the wheat of UK rock, watch an episode of Later with Jools Holland. His show is an amazing live rock show, but he usually has some locals on along with the superstars that just pale in comparison. Interesting theory, David. I buy it. Also, in Europe and Britain, music and music theory are taught all through school. Unlike our education systems here in America. Could contribute. Good story.